Hypothyroidism (hi-po-thy-roid-ism), also called an underactive thyroid, is when your thyroid doesn't make enough of the thyroid hormone thyroxine, which is also called T4. This slows down your all your body functions (your metabolism). These symptoms generally come on slowly over months, or even years, so it can take a long time to realise something is wrong. If it's not treated, hypothyroidism can cause several different problems, for example it can mean you are more likely to get heart disease and your cholesterol levels can go up. If you are pregnant and your underactive thyroid is not treated, it can cause problems such as pre-eclampsia and premature labour. In New Zealand, hypothyroidism is usually causes by your immune system attacking your thyroid – this is called autoimmune thyroiditis. This stops your thyroid from producing hormones. Some people get an underactive thyroid after treatment for thyroid cancer or after treatment for an overactive thyroid. For example, it can happen after taking antithyroid medicines such as carbimazole, after radioiodine treatment or after your thyroid is removed. Some medicines, such as lithium or amiodarone, can also make your thyroid underactive. How do I know if I have an underactive thyroid? If your doctor suspects you have an underactive thyroid, they will ask you to have a blood test that measures the level of hormones in your blood. If you have an underactive thyroid you will need to take a tablet every day to replace the thyroxine that your body isn't making. You will probably need to take this for your whole life. If your underactive thyroid happened after pregnancy you may need to be treated only for a short time. You will need to have blood tests to check that you are taking the right dose of thyroxine. When you start taking it, you will need to have a test every few months. Once the right dose has been found for you, you will need tests less often. After you start treatment your symptoms are likely to go away, and you will probably feel much better. Because thyroxine tablets replace what your body naturally produces it's rare to have any side effects. But if you take too much thyroxine, you're likely to have the same symptoms as for an overactive thyroid – such as sweating, anxiety, and weight loss. If you take too much thyroxine for a long time, it can cause heart problems and thin bones. More information about the symptoms and causes of hypothyroidism, and how it's diagnosed and treated. 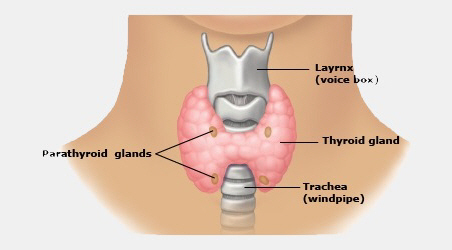 This page explains more about hypothyroidism, including more information about causes and treatment.